I love magic, but what I love even more is the reaction it evokes. It is used to create laughter, shock, awe, and relief. Used in the right way it breaks down barriers and creates an instant talking point. I have been in love with magic for over 15 years. With over 10 years of professional performing experience, I have entertained at University balls, military bases, weddings, private parties, trade shows and many more wonderful events. I have worked across Dorset and the South coast at various wedding venues and private parties. Fund raising at Sandhurst Military base. So whatever event you are planning no matter how big or small, get in touch. 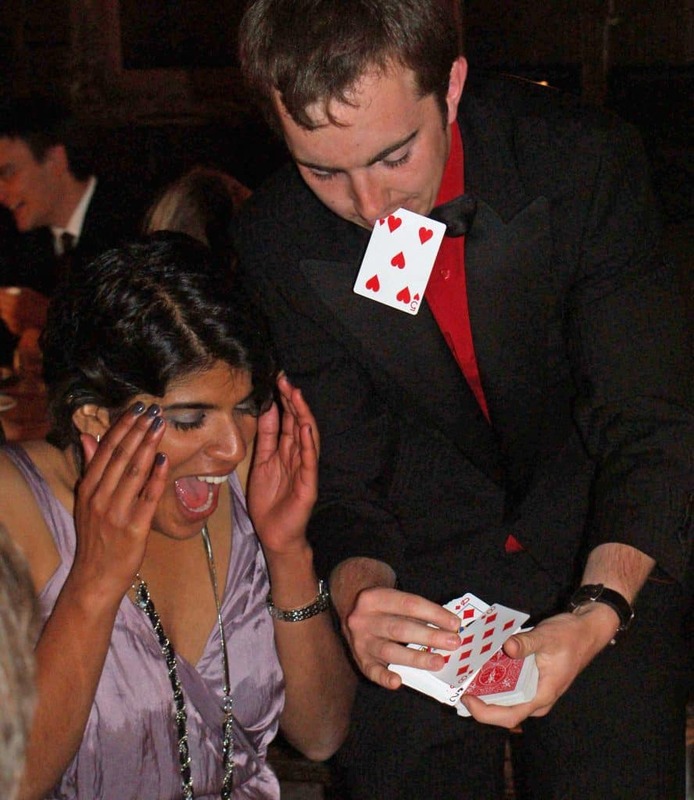 For larger events I can recommend other magicians/entertainers too. Dates vanish fast! Check availability by clicking below.